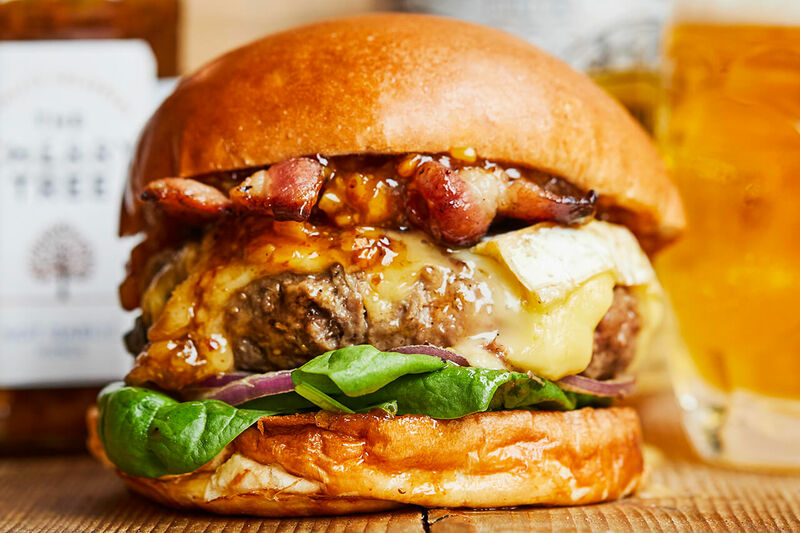 A burger with Honest beef, smoked bacon, Waterloo cheese, garlic pickle, red onion and baby spinach. 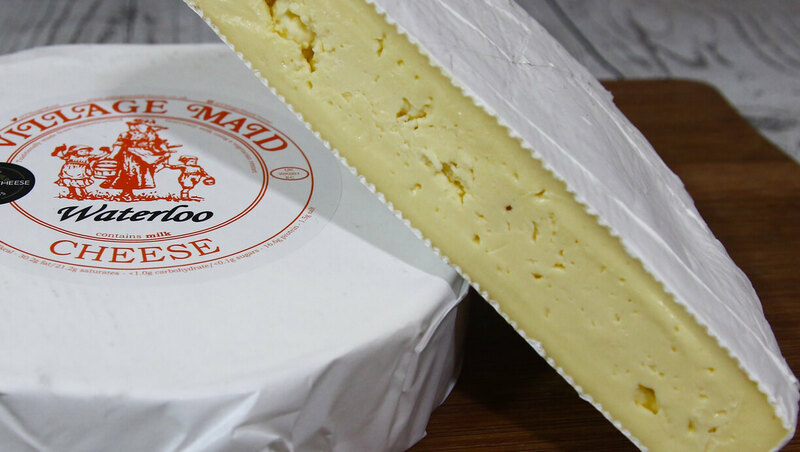 Recognised as producing award-winning cheeses for more than 30 years, Village Maid are among the very best in British artisan cheesemakers. 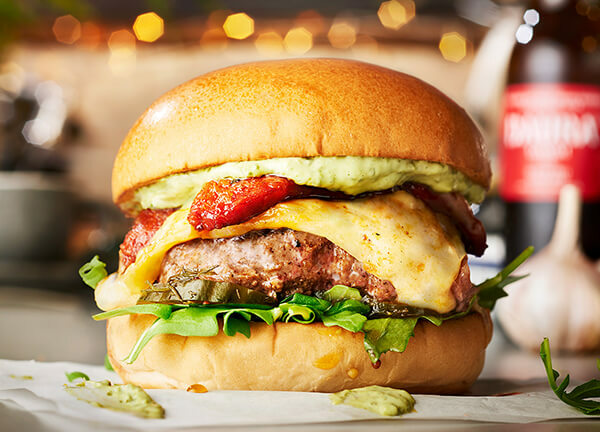 This burger is only available at our restaurant in South Bank. This very British special is the result of a fruitful trip down to the Southbank Centre Food Market, home to lots of brilliant street-food traders and small producers. We picked up Village Maid's soft and buttery Waterloo cheese and challenged its richness with The Cherry Tree's tangy Hot Garlic Pickle. It's an exceptionable combo with crunchy fresh red onion and baby spinach.